April 30, 1945. 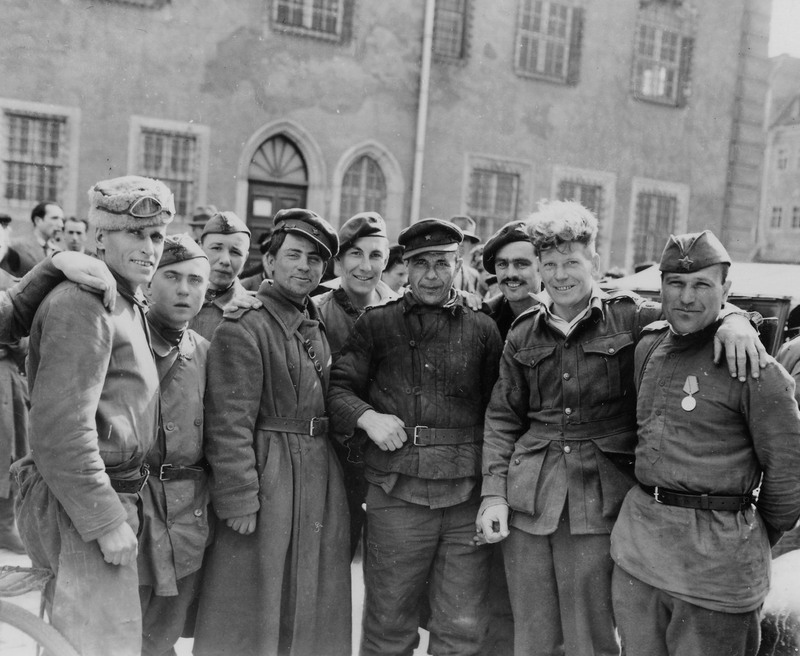 Russian Soldiers liberate weary Australian troops who’d been POW’s of the Germans in a camp near Wittenberg. The photo was taken as the 9th U.S. Army linked up with the Red Army’s units around that city. The photo was taken by the 168th Signal Corps Company’s George J. Barry.